The Season 9 premiere of The Real Housewives of Atlanta means that Bravo's shadiest series is back, but will its biggest star be joining the cast? 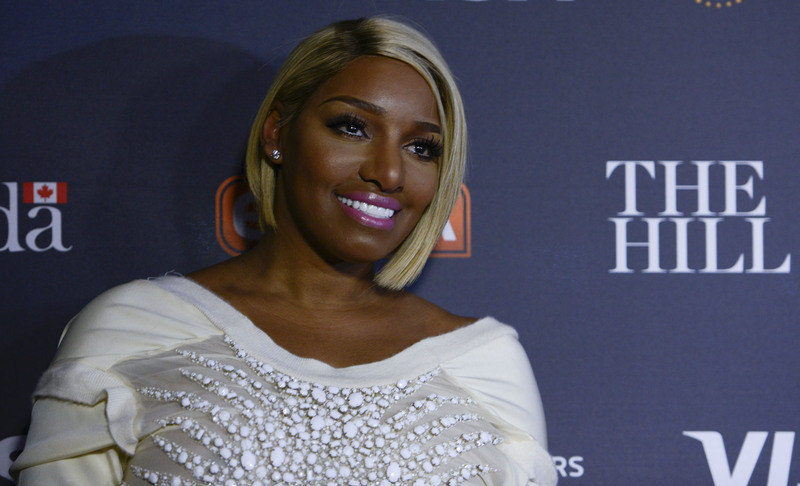 That is to say, will NeNe Leakes be in RHOA Season 9? Unfortunately, she's once again not a part of the official cast, but during Season 8, she did make a quick cameo appearance during the cast's trip to Jamaica, and occasionally popped up during other events like the reunion. As Andy Cohen tweeted back in 2015, NeNe is always welcome to return for a guest spot if she desires, but without being a main part of the cast, that could be for any amount of time, from one episode to half the season. Personally, I'm hoping that NeNe takes Cohen up on that offer and makes an appearance during Season 9. But reports claim that the former Bravo star won't appear on the show this year, which is disappointing for the fans who want more iconic shady moments from the Atlanta OG. According to a report from TMZ, NeNe is just too "busy" to commit to shooting with her former 'wives costars, though they do add the caveat that "guest appearances are always a possibility." It's true that NeNe has been busy for the last few months, working on all of her various projects like selling her HSN wares and doing a comedy tour around the country. She's become a huge star, and she's been busy maintaining that fame. However, she has been spending some time with her former RHOA costars in Atlanta, so there might be a chance for the briefest of NeNe cameos. For example, Porsha and NeNe are new neighbors, so there's a chance that they could become closer friends now. Additionally, none other than Cynthia Bailey popped up on NeNe's Instagram throughout the summer and into the early fall, which could potentially mean that these two are still repairing their relationship and friendship after Seasons 5-7 drove them apart. However, current cast member Phaedra Parks doesn't think the show needs NeNe's drama to stay interesting, and teases that she's going to attempt a more positive relationship with Kenya Moore along lots of other excitement during Season 9. "It's not the Housewife, it's the Housewives, plural," Phaedra told TMZ's Raq Rants in the video below. So even though NeNe isn't committed to appearing on more Real Housewives of Atlanta episodes, it's certainly not impossible. So I will be crossing my fingers throughout Season 9, hoping for even a glimpse of Atlanta's most valuable reality star.